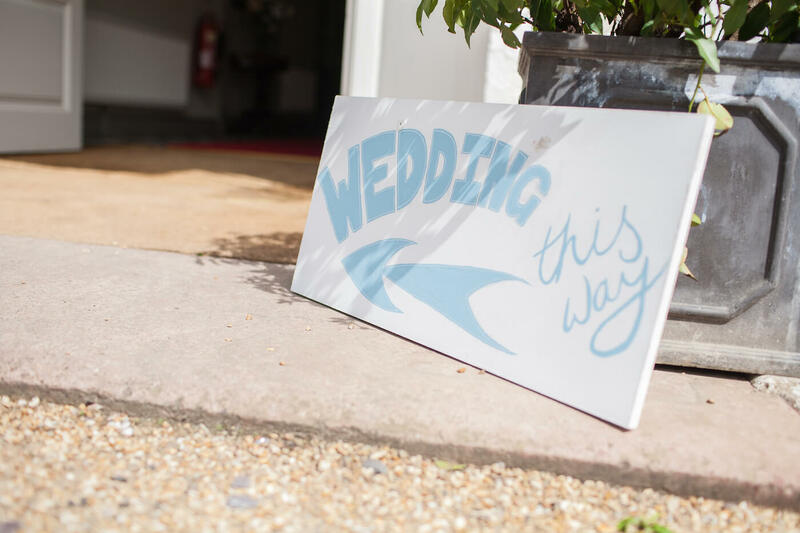 Vintage weddings are a very popular theme at Warwick House – probably because our beautiful 19th century listed building lends itself extremely well to a vintage or classic theme. 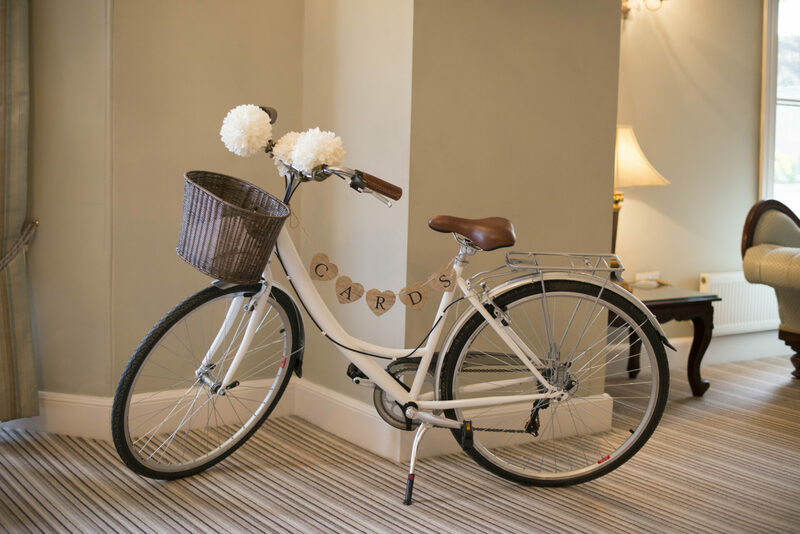 All of our reception rooms are richly decorated and ooze elegance to provide the perfect backdrop to a vintage theme. 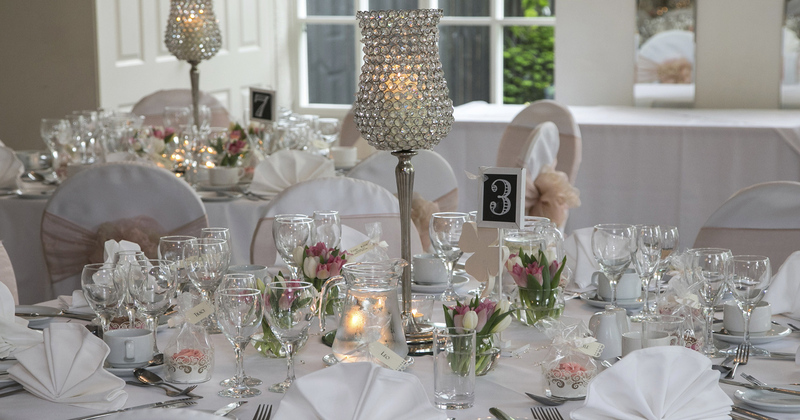 A popular option that many of our couples like to include as part of their vintage wedding celebrations is the use of candelabras or birdcages filled with flowers as centrepieces for their tables. Most will also include finishing touches such as bunting, decorative pearls and sometimes even doilies to enhance the vintage look. For a more relaxed affair, we’ve found that vintage style cushions and cute tealight holders work well to provide a softer approach to the theme. 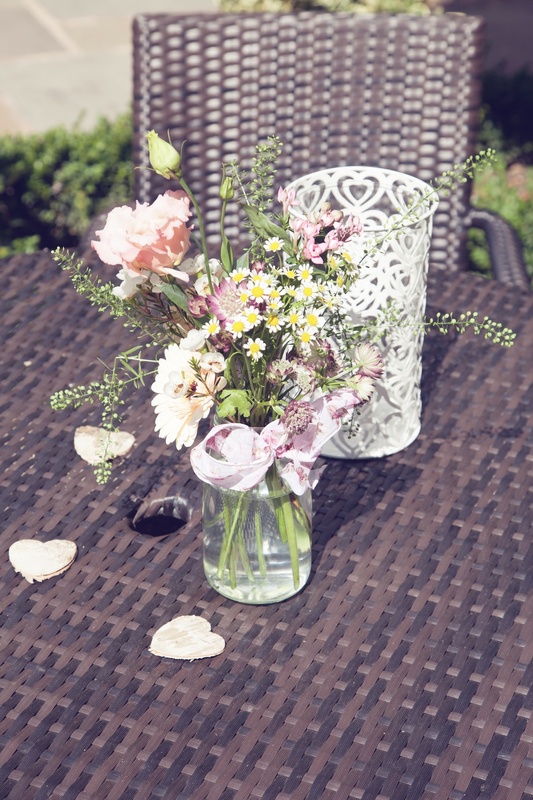 One aspect that we believe is key to creating the atmosphere of a vintage wedding is the use of colours and designs. 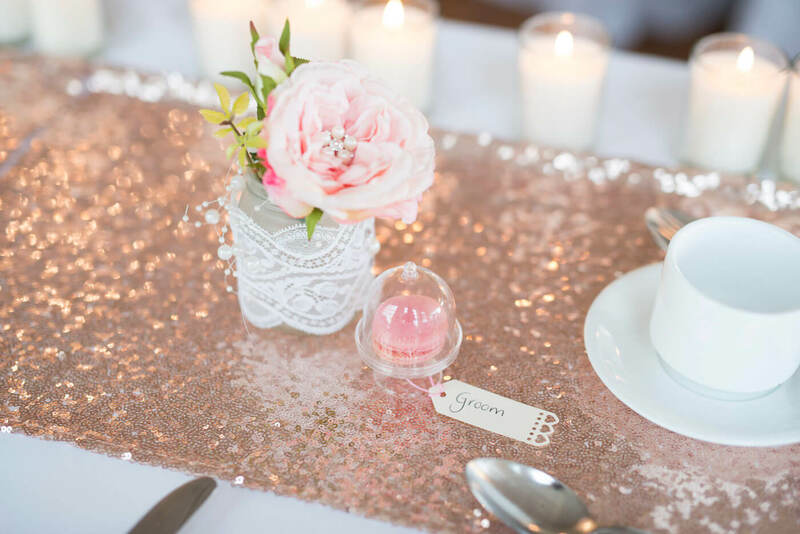 Nothing screams vintage more than pastel colours or flowery designs – both of which can be included using table runners, bunting and chair sashes. 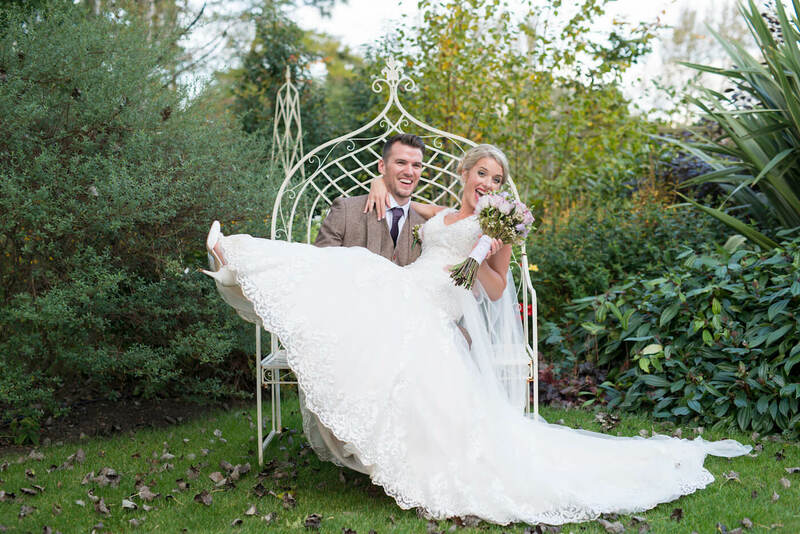 When you book a vintage wedding at Warwick House, you’ll also be given undisturbed, exclusive use of our venue and grounds. 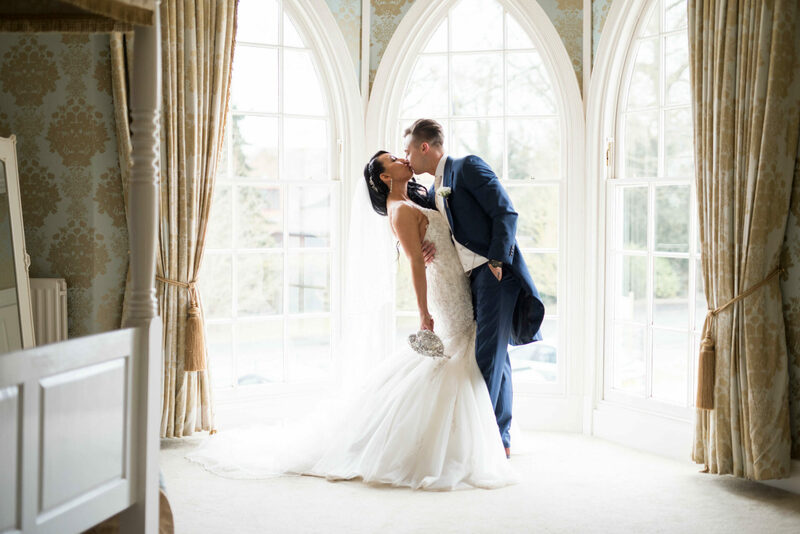 This means that you’ll have your pick of all of our stunning reception rooms, and you’ll also be able to make use of the 16 guest bedrooms and Honeymoon Suite that we have available. 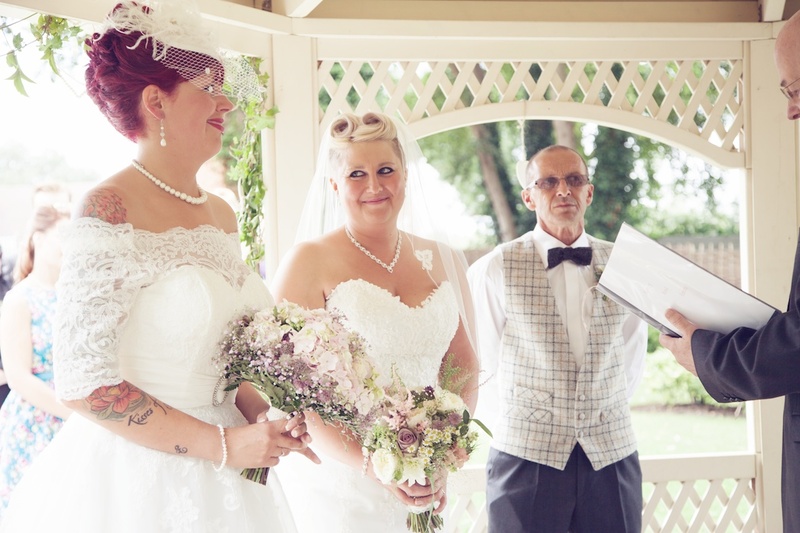 Whatever your dream vintage wedding may look like, we can make it happen at Warwick House. 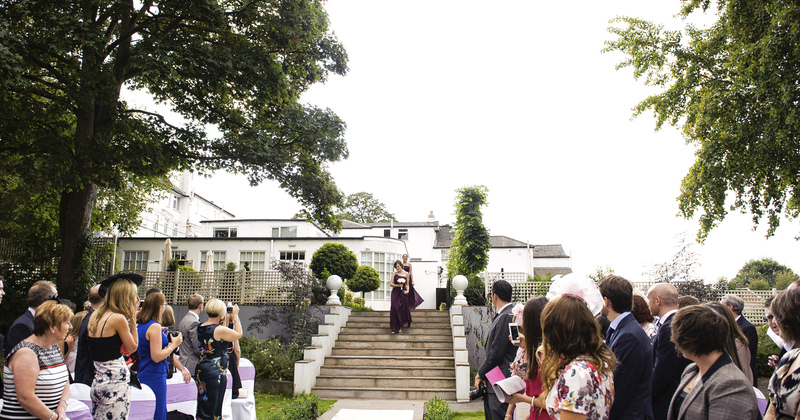 To enquire about booking your special day, get in touch with us using our contact form. If you’d like more information before speaking to us then please download a brochure using the form at the bottom of this page.